Another hailing taxi mobile app hit in Philippines with the partnership of Smart Communications network group, Easy Taxi app is available on Android and iOS users just search it on Play Store or App Store and download it free then install on your phone. Do note that downloading this app may cost data charges when you are connected via cellular network but if you know the password of your neighbors Wi-Fi then for sure you will not be charge on that. If you're look for a cab after Christmas rush shopping then go try this app to secure your way back home. While enjoying your shopping on your favorite mall you can also make use of their free Wi-Fi offer to book a taxi using Easy Taxi Pinoy App. Once you successfully booked a taxi using the app you can now easily grab a ride after you step on the exit door of the mall. It's a hassle free way to enjoy you're shopping or even in your ordinary ride around the metro. What makes it safe when you use the app to book a taxi is that you will be receiving important details that include the driver name, plate number and other details during the confirmation message notification. They also use GPS service to scan and monitor the locations of their available cabs and routes. 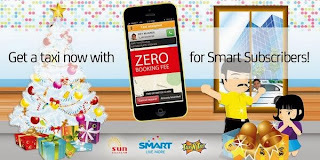 Here's more from this app, aside from worry free ride going to your destination it also gives you zero booking fee if you're Sun Cellular, Smart and Talk N Text subscribers. 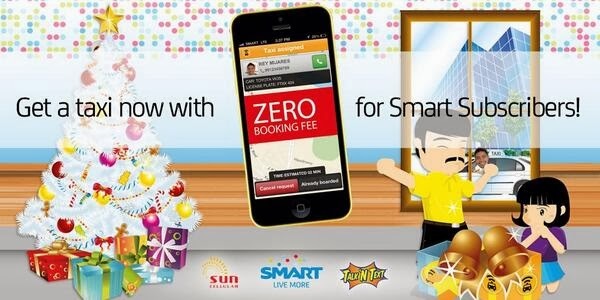 This is another promo offer from Smart for taxi drivers and passengers aside from their recently announced Waze App promo. The same app used in Manila and other countries like Korea, Malaysia, Brazil, Mexico and other cities. For non-Smart users, additional booking charge will apply on top of the meter reading. Other countries also support credit card payments method. They also started collaborating with local establishments like restaurants, hotels, and bars where there is few visible taxi’s to make use of this app. This helps not just the passengers but to the establishment visitors also when it comes to easy access. 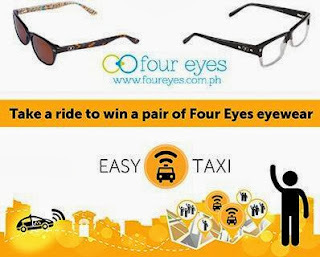 Easy Taxi Philippines team is also offering promos and contests like taxi driver sing competition and item giveaways. They also give safety tips for passengers and drivers on the social network accounts. Just search EasyTaxiPinoy on Twitter and EasyTaxiPH on Facebook.